Then Connor Laird arrived: a frighteningly intense boy who quickly became Tallis’ favourite criminal helper. Soon after, destruction befell the Longacre, and the facts of that night have lain buried . . . until today. I really *really* enjoyed this book. Sharp characters, sharper writing, an interestingly different premise, and a suitably twisty plot, and that smug moment where you figure out who the killer is. Only for Mark to pull the rug out from under you. Sneaky crime writers, you’ve got to love ’em. The characters are great – the horribly compromised DI Ray Drake stands out as he helps Detective Sergeant Flick Cowley investigate the deaths linked to a children’s home back in the 1980s. The story jumps back between the modern day investigation and the time at the children’s home which becomes increasingly uncomfortable and dark as the plot unfolds. If you’re a crime thriller fan, definitely one for your list. Many thanks to Netgalley for the review copy. 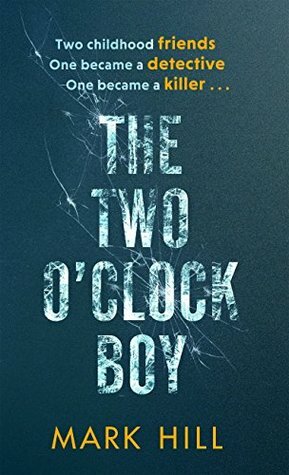 The Two O’Clock Boy is published by Sphere @LittleBrownUK Ebook: September 22nd 2016. Paperback: April 2017. I’m reading this at the moment – I’m about half way through. Can’t wait to see where it’s going!